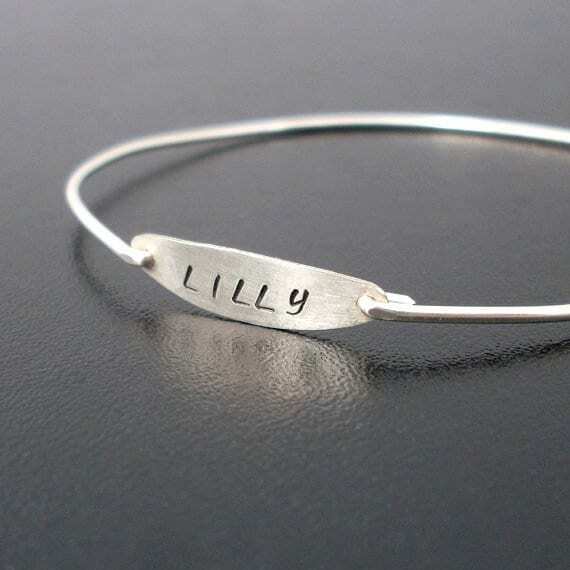 I hand stamp the name of your choice on a silver filled oval and attach a silver filled band. I can do any combination of 7 letters or numbers to stamp your child's name, a word, or date of birth, in this handwritten font, making a lovely custom present for mom. And comes in a pretty blue box. 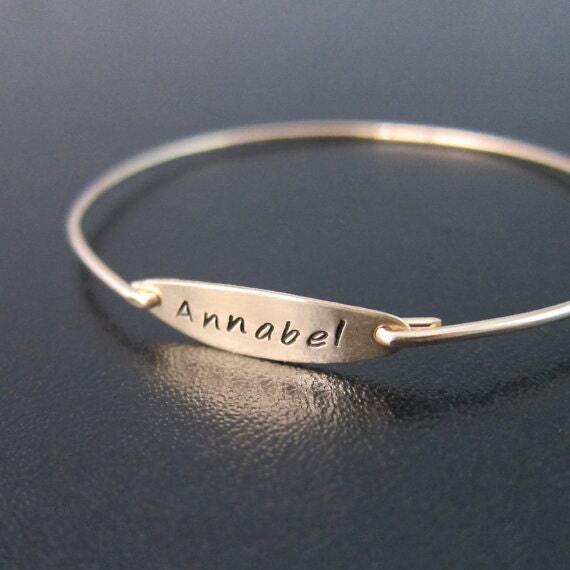 This handmade jewelry with kids names is the perfect gift for mom's birthday. Order as many bracelets as you need. If there are not enough currently available for your needs, please convo me for a custom listing for your custom mom gift. Please specify name, word, or date as well as size in notes to seller during checkout for your bracelet. 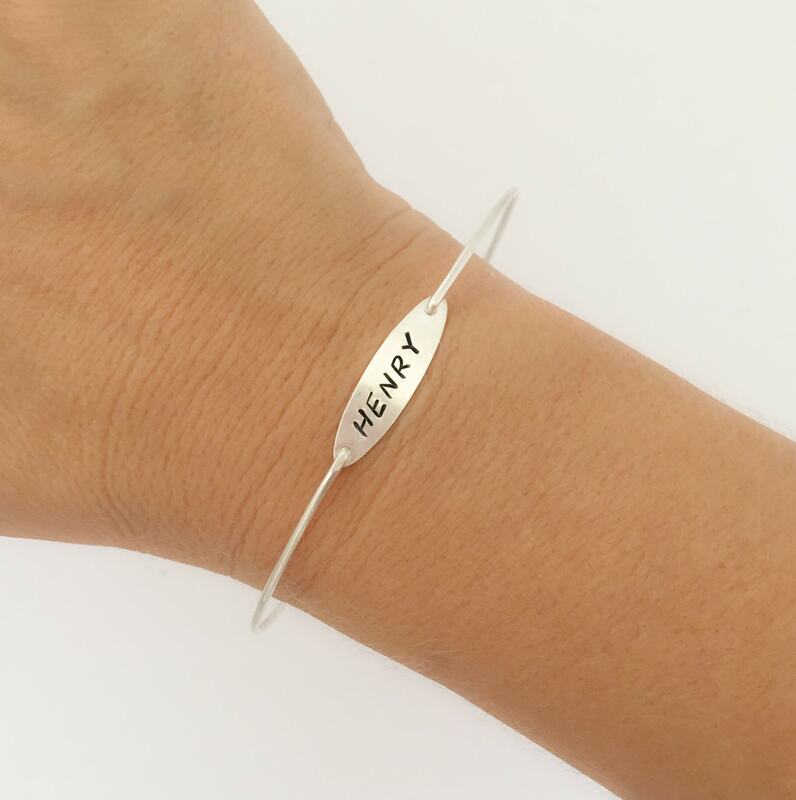 Choose from one of my regular sizes below by measuring one of your favorite bangles, or give me the circumference of the widest part of your hand where the bangle has to be pulled over; then I can size your personalized gift for mom's birthday for you. All of my bangles are closed and can’t be opened. Therefore, these bracelets with kids names have to fit over the hand. 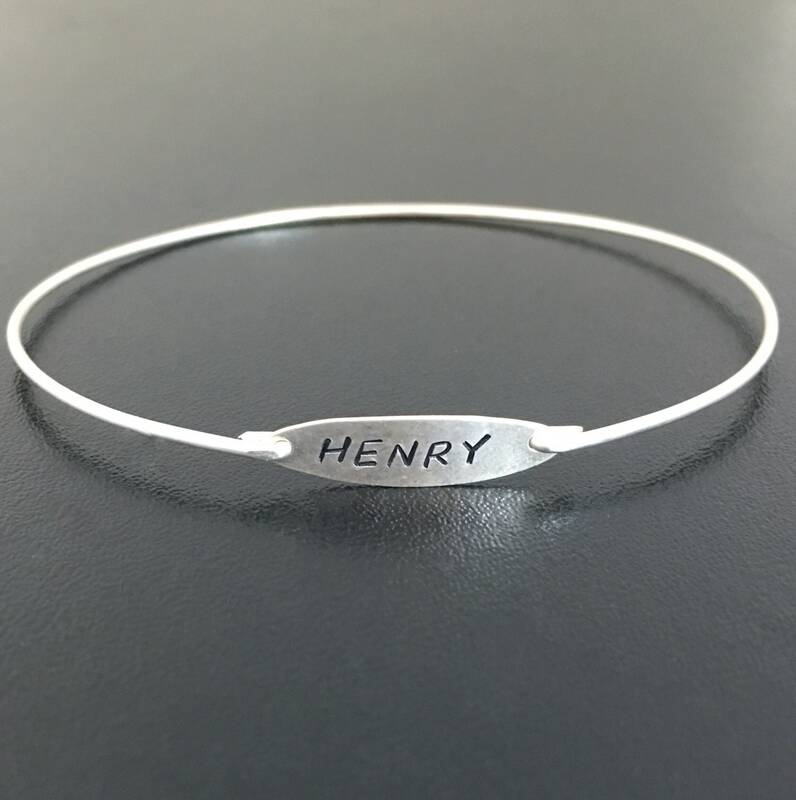 Custom size: specify a custom size for your bracelet with child's name or bracelets with children's names. This silver name jewelry created and hand crafted with great care and love for you and yours. All of my items including this jewelry with children's names are special handmade creations that are original Frosted Willow designs. 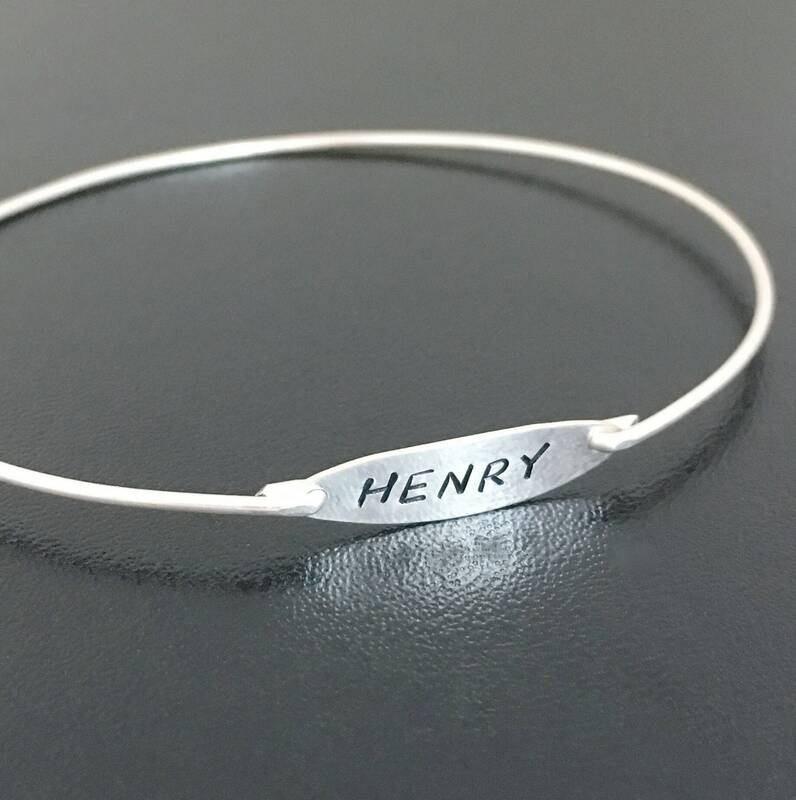 I hope you love your personalized silver name bracelet!